Could you tell me a little bit more about where the hierarchy in the mind-map comes from? 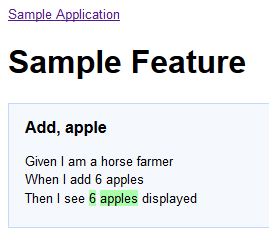 For example, you have an "Add" node under "Sample Feature" with two child nodes "Type" and "Number". How do those correspond to the elements in your Gherkin document? I presume you generated this report by hand, is that right? Or do you have a script that builds it automatically for you? Thanks for your comment, I'm glad you like the idea. The mind map is currently not generated automatically. The correlation between specifications and nodes in the map are created by hand. 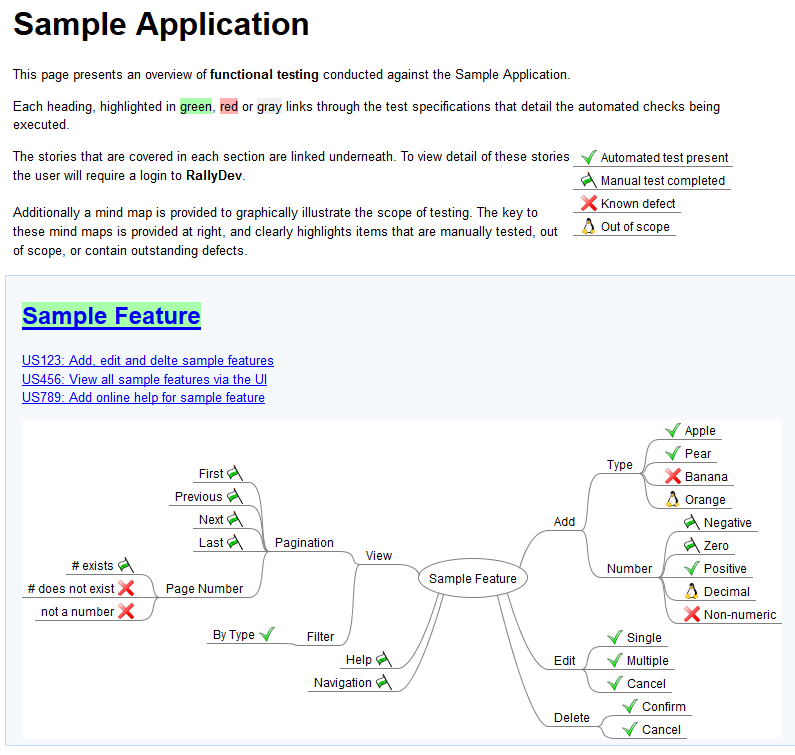 The idea is that the mind map shows not just the specifications at a higher level, but also information about testing beyond the specification. Though I think an auto-generated map would be pretty neat, it would remove some of the intent of what I was using the maps for. That said, my colleague Nigel Charman is very keen to try and implement a dynamic mind map that does generate based on the results of automation. But it's in a queue to work on, alongside many other things!